Navarre was a medieval kingdom first established around 824 A.D. when the inhabitants rebelled against the Frankish Empire and established an independent state. At its greatest extent, Navarre held territory on both sides of the Pyrenees mountains, in what is today the north of Spain and the south of France. In 1512, the southern part was conquered by the Kingdom of Aragon and subsequently incorporated into the Kindom of Spain. The lower part, situated on the northern side of the Pyreannes mountains (today southern France) remained independent for some time, but was eventually dominated and later absorbed by its larger neighbor France. Navarre ceased to be an independent kindom when Henry III, the last king of Navarre, succeeded to the throne of France, becoming King of France and founding the important Borubon dynasty. When Henry III died, his son and successor to the French throne merged Navarre with the territory of France and thus Henry III, also inherited the throne of France in 1620. At that point Navarre ceased to be an independent political entity although the monarchs of France continued to hold the title of King or Queen of Navarre, until the French monarchy was abolished. Although a small country, Navarre occupied a strategic position astride the routes over the Pyrenees mountains and thus played an important role in the wars between the moslems and the Christians in Spain during the early Middle Ages, as well as in the intercine wars between the competing Spanish states before the Spanish unification. 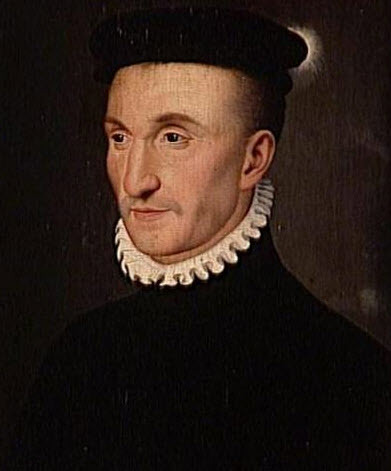 In the later Middle Ages, the court of northern Navarre was a center of learning and culture which played a role in the spread of the Renaissance to France. It was also an oasis of religious tolerance and many people sought refuge from religious persecution in France within the borders of Navarre. During the Napoleonic invasion of Spain, the southern part of Navarre which had centuries before been conquered by Spain remained loyal to the Spanish crown and conducted an effective partisan resistance against the French, disrupting thir supply lines to the south. Marguerite the Navarre, the author or the Heptameron was Queen Consort of Henry II, King of Navarre. Her descendant, Henry III of Navarre (Henry the IV of France) would become King of France and his descendants would rule until the French Revolution.